Your wedding day is one of the most important and memorable days of your life so, when you celebrate these days, nothing can be left to chance. Not only is it imperative to hire someone who is experienced and who has the latest, best and most reliable equipment, but also that the person or people who organise and carry out the entertainment at these functions is someone who does it because 1) they love doing it and 2) THEY REALLY CARE! Not only are we extremely experienced and capable, we take an incredible amount of pride in what we do. We understand that you are busy trying to mingle and keep everybody entertained as best you can but you can’t be everywhere at once. This is why we, and our staff, are trained to make sure that what we are doing is putting a smile on everybody’s face. We cater to the musical taste of everybody who is present at your special day tailor the vibe to the crowd. Our credentials are unrivalled and our care factor is through the roof! We’d love to DJ / MC your special day! Dean is undoubtedly one of the most credentialed DJ’s in Australia. Apart from being an award-winning commercial radio DJ with his own national talkback show which goes to air on over 40 stations, he is also an accomplished IT professional and has been DJ’ing music and karaoke gigs since the 90’s. We can also entertain any age group or genre. We have playlists for every occasion or we’ll custom create one as we go to ensure that the crowd we have is immensely entertained. Please CONTACT US if you have any questions. Award or Presentation Nights. Dean is an excellent Master of Ceremonies (MC) and is much sought after to host nights like these for your members’ associations, clubs etc. Karaoke DJ. You haven’t been to Karaoke until you have been to one of ours. We take it to a whole new level and we are EXCELLENT in encouraging those who would not normally get up to have a sing TO GET UP AND HAVE A SING! 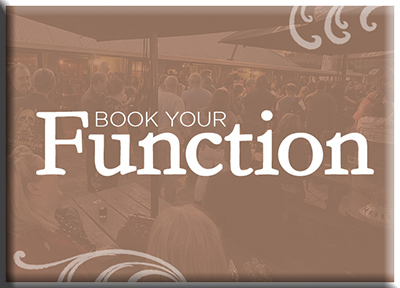 We would very much like you to consider us for your engagement party or wedding. Please compare apples to apples when doing so as we have the best gear and most qualified people so your gig will be a TOTAL SUCCESS, GUARANTEED! We have never done a gig that was not received well! ALL our feedback has been positive. Please go to our BOOKINGS page to hire us or to our CONTACT US page if you have further questions. You can also get a QUOTE for a gig on our bookings page.